Your business requires your fleet to be on the road. It can be hard to make money when you have to be concerned with repairs and maintenance. Unless your job is auto mechanics, then this is a huge distraction to your primary objective, which is being productive and turning a profit. The auto service experts at SAF-T Auto Centers would like to take this concern off your plate. Consider your fleet services one less thing for you to worry about. We’ll handle all of your fleet’s repairs and maintenance, which will include helping you avoid any costly repairs. Having an expert team that puts your fleet on maintenance schedule is invaluable to a business. Let us show you the special attention that your fleet deserves. Business owners try, but it’s difficult to stay ahead of any time consuming and costly repairs. Let our team perform all the services according to an effective schedule that eliminates all your worries. You want to stay on the road, and out of the repair shop and that’s exactly what our fleet services allow you to do. It’s time to let the professionals worry about your fleet service. 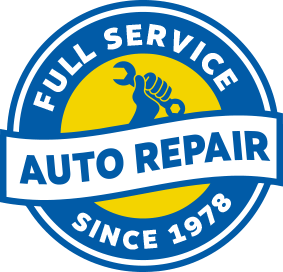 Your vehicle needs to be in quality condition so your drivers can take care of business. They don’t have the time or expertise to worry about servicing vehicles. Fortunately, that’s our specialty and we let our customers let out a huge sigh of relief. As soon as you give our technicians the go-ahead to design a maintenance plan and perform maintenance services, you can move on to some other concern. Your fleet should no longer be the source of any anxiety. Notice your business continue to flourish as vehicle breakdowns are no longer a problem. The beauty of our preventive maintenance is that we keep the fleet running smoothly and on time. However, any repair needs that ever come up will be handled effectively and completely by us the first time. You can use our convenient online scheduling system to reserve an appointment for fleet service. Or just give us a call to discuss your needs, and we’ll let you know how we can help.